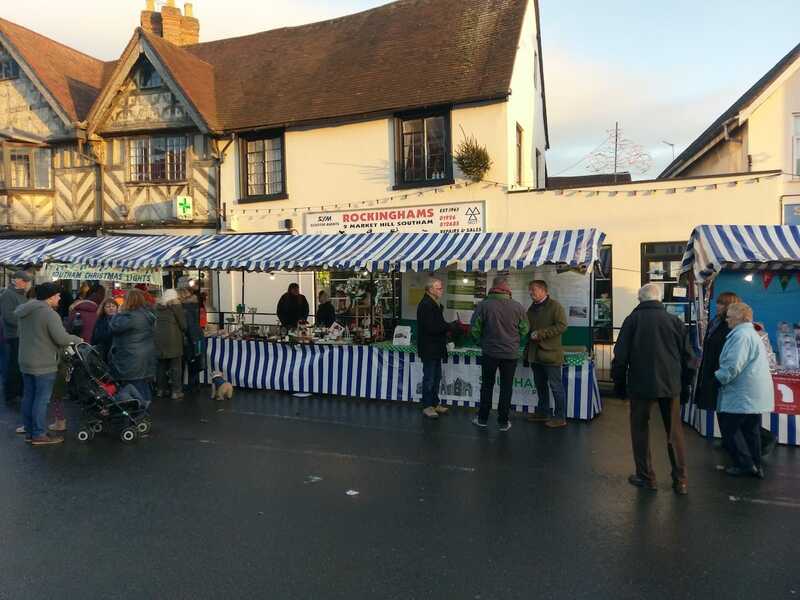 It was a cold day but the sun shone through on 2017’s Southam Christmas Lights Switch-On event. Held on 26th November, this event is firmly established as the one to start the festive season in our town. The Neighbourhood Plan Steering Committee reprised last years attendance and displayed the work carried out by them in the last 12 months with posters of vision statements compiled from evidence given in the surveys (including last year’s market!) we have carried out so far. You can see the displays here. As ever committee members were on hand to hear your comments and discuss the progress so far. Generally the opinions were really positive and we gathered several really good ideas that will be considered in the coming months. If you are interested in having your say or even joining us as a volunteer or a committee member then please get in touch – we’d love to hear from you.